In this day and age of everything Internet, we are now continuously spending enormous amounts of time surfing online, this by using our favorite trusty Web browser, most often without a second thought of how secure the Web browser actually is. Using a Web browser such as Internet Explorer, Firefox, Chrome etc., is an absolute necessity if you’re wanting to go online. So because of this, they also happen to be a favorite target for a variety of cyber based criminals worldwide. So it’s best that you prepare yourself by using the following tips on how you can browse the Internet as securely as possible to keep all of the unwanted virtual bad guys out. All of the major popular Web browsers which are used today will take extreme precautionary measures to make sure that their browsers are as secure as possible. Although they usually automatically update themselves, you should always make sure that you’re using the latest versions of the browser by downloading their latest patches. All of the new security patches are issued for a good reason. The older versions of the browsers will often become vulnerable as security “holes” are constantly being exposed to a variety of attacks, and as a result, they are “plugged” by the new patch updates. Since we all use a large variety of sites on the web these days, including, membership sites, forums, social media and financial service sites, and because of this, it’s almost becoming impossible to keep track of all the usernames and passwords for all of the various accounts. The biggest problem with this is that the majority of people, for simplicity sake, will use the exact same username and password for all of their accounts on these sites. Although there may be some slight variants which are used from time to time, for the most part, they are exactly the same. This obviously is an extremely bad idea. Doing this can be dangerous since not every site on the Internet is created equally when it comes to Web security. Most will just use the minimum protection that’s required on their membership sites. As an example, the authentication and the encryption which is used on your online Bank’s Web site may be absolutely “Iron Clad” stellar, but that forum for your favorite sports team which you recently joined may have the lowest security. So if anyone either finds or figures out what your username and password is, (there are even cases where the owner of the forum does this), and you happen to used the exact same username/password combination for your other accounts, a potential hacker could easily figure out how to access your financial or personal data as well. And don’t forget your various social media and email accounts. So the idea is to obviously make your username and password which you use as difficult to crack as possible. The strong password should contain a varied mix of upper and lower case letters as well as numbers. Never use any familiar names or a numeric combination of birthdays of family members. Anything that someone could potentially find out about you. You should also use a different username and password for each and every account that you use. Since it will be difficult to remember all of these different usernames and password combinations, you should develop some type of code, such as say including the first letter of a service located somewhere in the password, or something that’s equally random which you can always remember. The easiest and the most obvious is to use a password management software program or make a secure text file and keep a hard copy by printing it out. On the Internet, just one single letter can make a huge world of difference. You have no doubt noticed that there is always a “HTTP” directly before any Web address, but if the site happens to start with “HTTPS” before the web address, the additional “s” is a site which uses some type of advanced encryption. 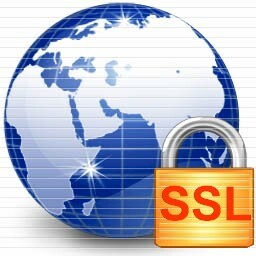 The secure encryption is usually SSL or (Secure Sockets Layer). You will usually see the HTTPS used on financial sites such as banks or stock trading sites, as well as on online payment portals. This additional security will prevent those who can potentially pry or “eavesdrop” on your web browsing. The encryption also helps to keep all of your sensitive information hidden from online view. It’s important that you know exactly where you’re accessing the Internet from at all times. For example, if you happen to be browsing from say your company’s network, the chances are pretty good that the in-house IT department will have some level of industrial grade encryption, firewall protection and malware detection in place in order to keep yours as well as their Internet communications as secure as possible. However, if you happen to be accessing the Internet from your laptop or tablet PC via a public Wi-Fi hotspot that’s unsecured, you need to be extra careful. You have to realize that anyone nearby who may be interested or savvy enough are able to see exactly what you’re doing on the Wi-Fi network. So under no circumstances, never conduct any type of sensitive business over any of these unsecured networks. Finally, keep in mind that there are those scary deep dark corners of the net where the security threats can be potentially much greater. You need to stay away from all of those shady sites, and you know which ones they are. The odds of avoiding any attacks will then be greatly enhanced.